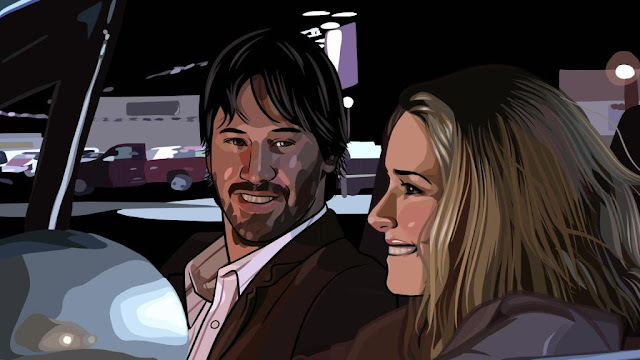 DESTINATION WEDDING sees Reeves and Ryder renew a fan-favorite on-screen partnership that began with Francis Ford Coppola's Bram Stoker's Dracula (1992) and has included Richard Linklater's A Scanner Darkly (2006). Most recently, Reeves reprised his role in John Wick: Chapter 2 for Summit Entertainment and received critical acclaim in Marti Noxon’s To The Bone, which was released by Netflix last month. Ryder has been lauded for her performance in the immensely poplar Netflix series Stranger Things, which earned her a Golden Globe® and Screen Actors Guild® nomination for her role as “Joyce Byers”. Stranger Things 2 will premiere on Netflix on October 27th. Writer-Director Levin's debut film, 5 to 7 (2015) starred Anton Yelchin, Bérénice Marlohe, Frank Langella and Glenn Close. A Golden Globe winner and four-time Emmy nominee, his previous writing work has included Mad About You, Mad Men, Win a Date with Tad Hamilton (2004) and Then She Found Me (2008). He is currently an executive producer, writer and director for the critically-acclaimed Starz comedy Survivor's Remorse. Lyon and Dell teamed for this project. Previous credits for Lyon include Gattaca, Erin Brockovich, Win a Date with Tad Hamilton!, and Edge of Darkness. Dell’s credits include B-Girl, and the series Logan Paul Vs.